We all know very well about Realme, of course, it is a well-known Chinese smartphone brand that has gained a lot of popularity in recent time. However, now according to the latest reports, the well-known Chinese smartphone manufacturer, of course, Realme to launch its own Android app store to rival Google Play Store. Realme is basically a new Chinese smartphone brand which was launched last year just after the separation of the well-known Chinese brand Oppo and has now already made its mark on the low-end smartphone segment in India, one of the world’s largest smartphone markets. And not only that even the company has also expanded its roots to six other countries as well and they are Philippines, Malaysia, Vietnam, Indonesia, Egypt, and Thailand. However, apart from all these things this well-known Chinese brand has recently created its own community where users can ask questions, and experts answer their questions and queries. It also allows users to offer features and suggestions that the company can cover in their future software updates simply to improve it. But, now according to the latest reports, in the community which is created by the well-known Chinese brand, Realme, some users have already requested the brand to launch its own dedicated app store for all its Realme users. And just guess, what the company responded!!! Here is what the company replied “Yes. 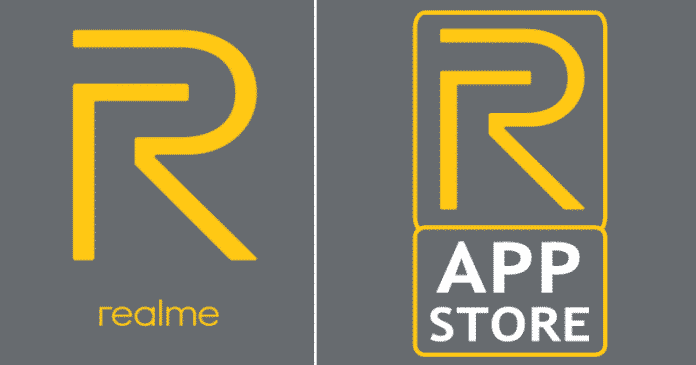 The official Realme App Store is definitely an option we are looking into.” So, it clearly means that it will soon launch its own app store simply to rival Google Play Store and make its presence strong in the software segment as well. So, once the company, of course, the well-known Chinese smartphone brand, Realme launch its own app store, it will simply work as an alternative to the Google Play Store and all its users can simply download any applications and games they want just like they do on the Play Store. However, the fact is that this well-known Chinese smartphone brand, Realme is not the only brand to launch its own apps store, yes, there are already many smartphone manufacturers who already have their own application stores and they are the well-known Chinese brand Huawei, Xiaomi and the South Korean giant Samsung. While the renowned Chinese smartphone manufacturer, of course, Huawei has an app store called AppGallery, which is available for both Huawei and Honor users, the well-known Chinese smartphone manufacturer Xiaomi has an app store named as Mi App Store and the South Korean giant Samsung has an app store called Galaxy Apps which is available for all its users. Moreover, so far the company, of course, Realme has launched five smartphones, and they are Realme 1, Realme 2, Realme 2 Pro, Realme C1 and Realme U1. While now if we talk other than the smartphones, this well-known Chinese brand, Realme has also entered the business of mobile accessories as well with the launch of headsets and mobile cases. Now after making its presence strong in the online smartphone market now, the company is looking to expand its presence on the offline market in India. Hence, to do so this year, the company, of course, Realme to launch and open its own experience stores in more than 150 cities in India just like the well-known Chinese smartphone manufacturer, Xiaomi and OnePlus does. Apart from its app store and its sales success, it is reported that the company, of course, Realme has already started working on its future smartphone, the Realme 3, which will be launched at the end of March this year 2019. So, what do you think about this? Simply share all your views and thoughts in the comment section below.